Gluten Free Granola Bars | Paleo Granola Bars | Grain Free and Easy to Make Bars for the Family! My husband is still not working. He’s still home because of his undiagnosed lung issue and his specialist appointment was pushed back because of the flooding. He’s getting bored. And he’s also getting on board with a healthier eating program because it can’t hurt his recovery to eat more veggies and less garbage. He took it upon himself to make these homemade granola bars the other day and they are fantastic! And so easy too. No oven required! This is one recipe that can taste two ways just by subbing out the fruit. One uses dried apricots and the other dates. They are both tasty but the apricot ones are slightly lower in sugar. Apricots are naturally less sweet than dates. I warn you though…the date ones are amazing. If you make both, they’ll be the first to get nibbled up! If you make the date ones, also add in ½ cup dark chocolate chips. Trust me. And yes, put the coconut in no matter which fruit you pick. Place all ingredients in the food processor and whiz until it's very fine. Line an 8x8 glass pan with parchment paper or plastic wrap. Pour the mixture into the glass pan and press firmly with your fingertips. Refrigerate at least 20 min until 'set'. That's it! Slice into squares or bars - they are very filling so a little goes a long way. Enjoy! Keep unused portion in the fridge. 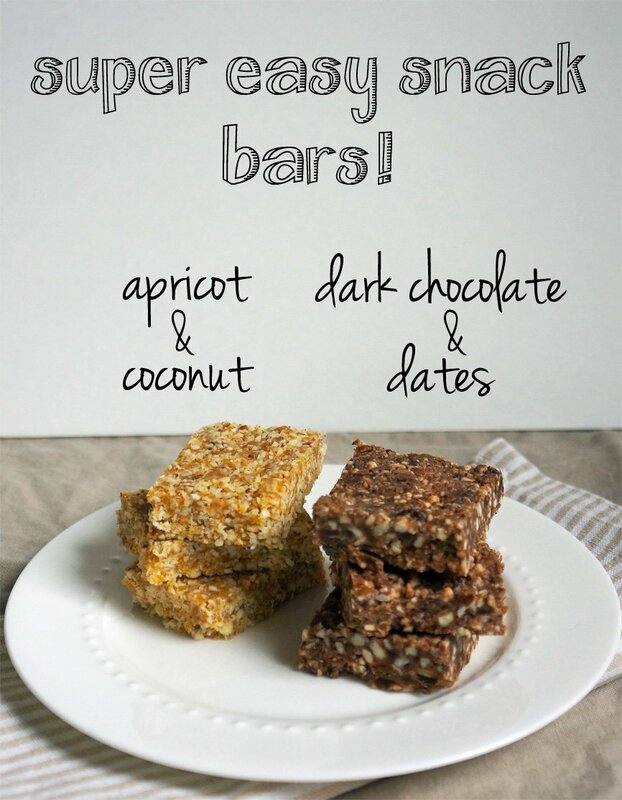 These bars are gluten free, grain free, paleo friendly and just plain good for you. But they still hit that sweet note we all crave. They keep well in the fridge and are easy to transport. 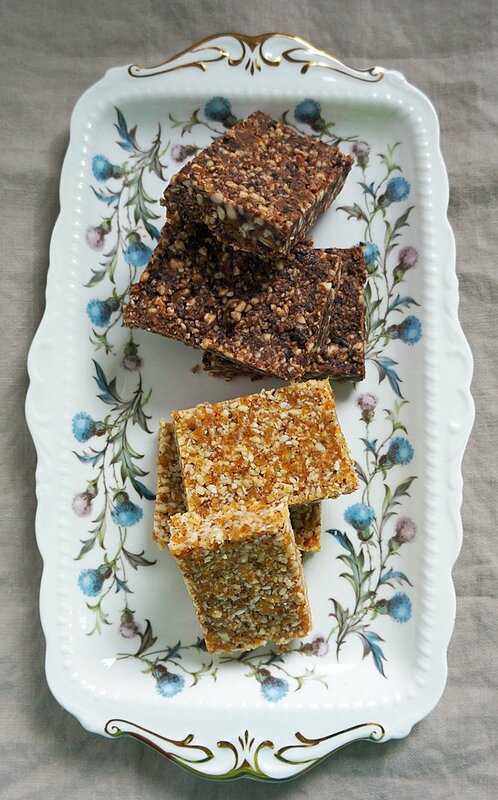 You’ve got to try these homemade granola bars out. And let me know what you think! Enjoy! Yum! I wonder if I could get Max to eat one. I’m sure he’d like the date one. But what would happen if you added chocolate to the apricot one? Dare I try it? Try it! I’m not a fan of chocolate with apricot but you may be! Delicious! They roll nicely into balls too. I added uncrystalised ginger to the choc one. Heaven. I also find it easier to use almond flour. Thanks for the post. I didn’t even think to roll them into balls but yes, I bet that would work really well! Thanks for your feedback.